Problems for former Tourism and Arts Minister Sylvia Masebo are not yet over as information has emerged that she committed a criminal offence when she interfered with tenders at Zambia Wildlife Authority (ZAWA) according to the Public Procurement Act. This means that Masebo now faces an arrest if former Communication and Transport Minister William Harrington or any other Citizen reports the matter to the Police. 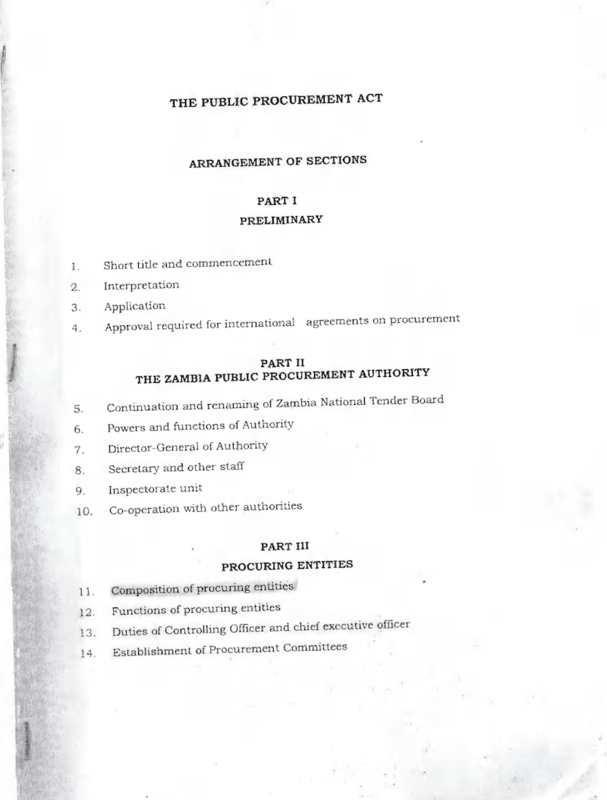 According to section 75 (C) of the Public Procurement Act, any person who interferes with or exerts undue influence on any officer or employee of the authority (Zambia Public Procurement Authority) or a procuring entity (In this case ZAWA) in the performance of their functions or in the exercise of their powers under this Act commits a criminal offence. According to the Roydah Kaoma Tribunal report, Masebo was wrong to cancel 19 duly awarded hunting concession tenders. When asked to whether he would consider reporting Masebo to the Police, Mr. Harrington said he will do that immediately after lodging in judicial review documents in the Lusaka High Court on Monday March 31,2014. “Yes. I will lodge in a complaint so that a docket can be opened against her. I have studies the Public Procurement Act and it is true she committed a criminal offence,” he said.